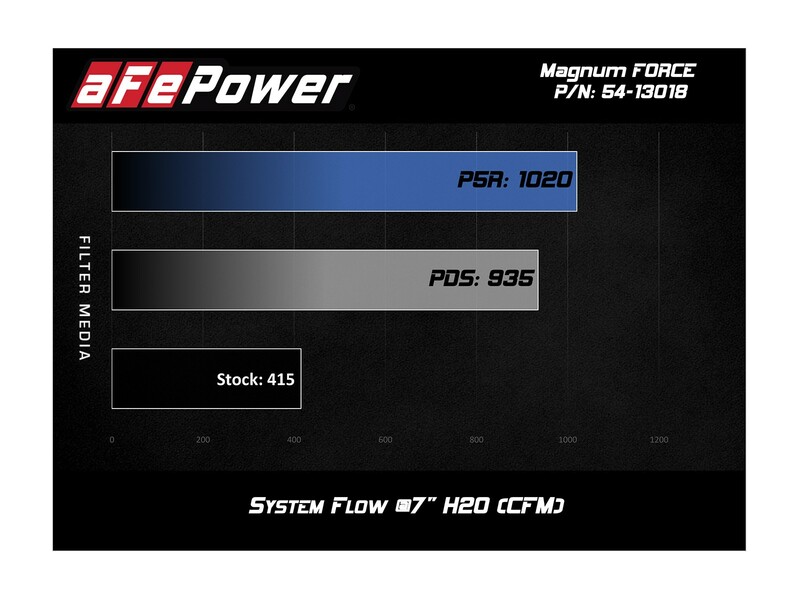 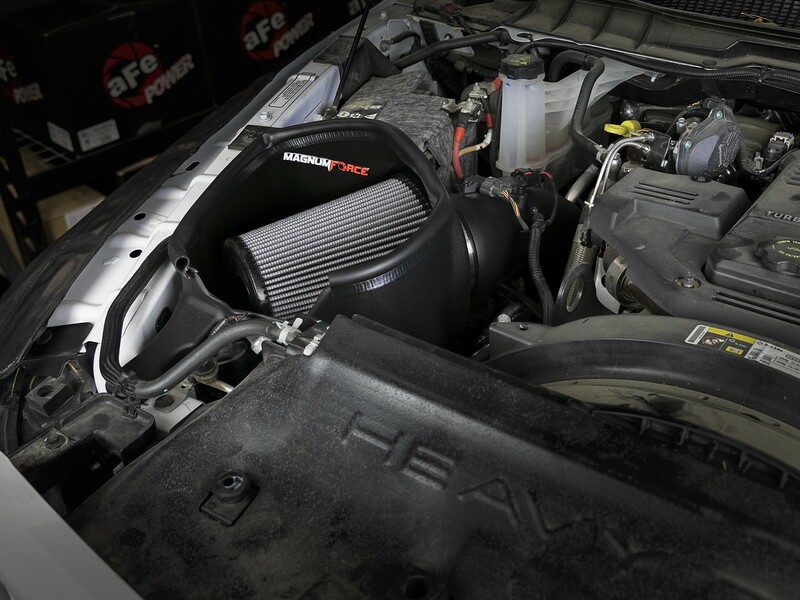 The Magnum FORCE's exposed massive air filter ensures it not only will look aggressive under your hood, but also will deliver more power to your engine and sound great in conjunction with the RAM's turbocharger. 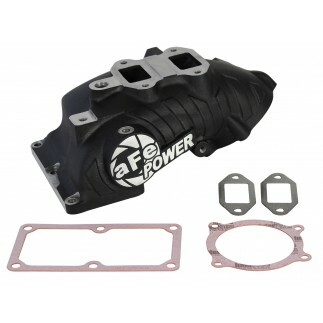 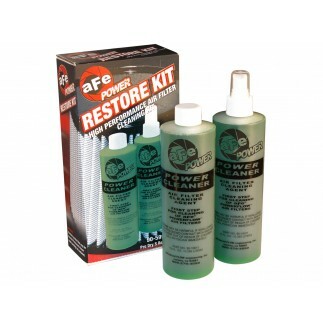 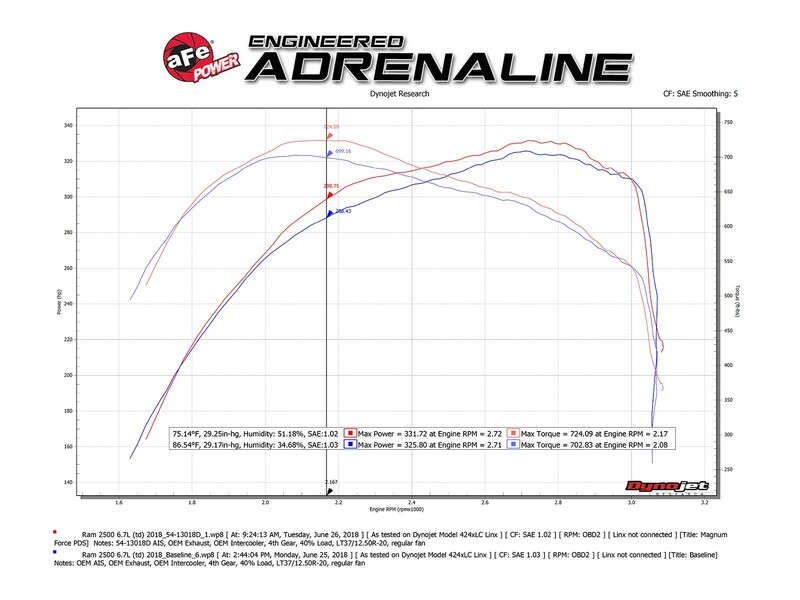 This aFe POWER Pro DRY S is an oil-free, 360-degree radial flow performance air filter with three layers of synthetic media for maximum convenience. 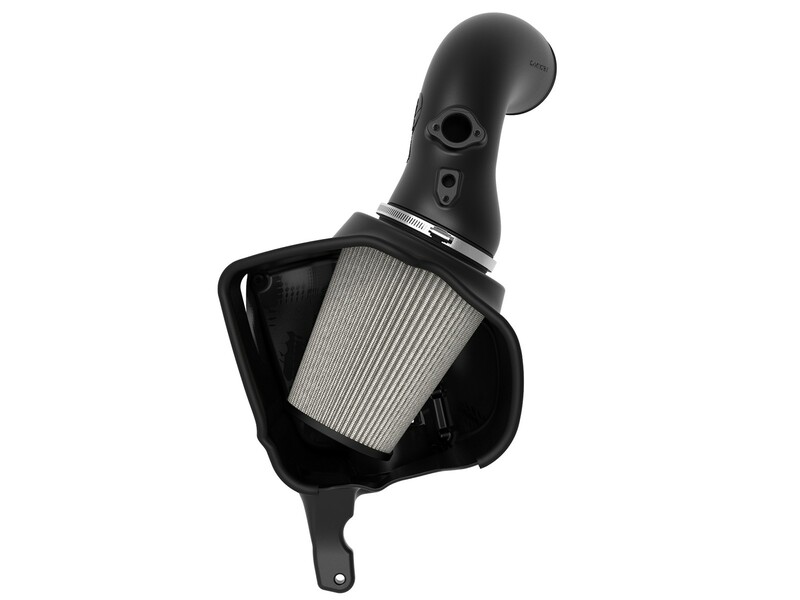 Its progressive layering provides great filtration efficiency and dust holding capacity, while not requiring the use of oils. 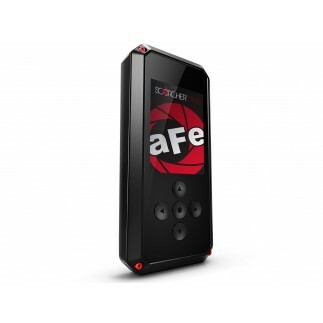 This media is best suited for street and light off-road use. 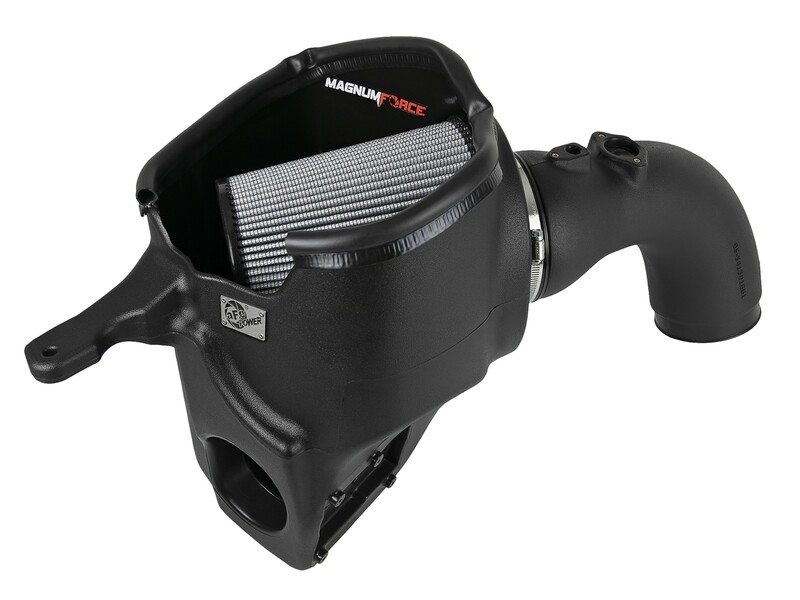 The filter's massive 9" tall design features a unique inverted top and a 5" flange, making for ample surface area, as well as more flow and longer service intervals when compared to traditional flat top air filters. 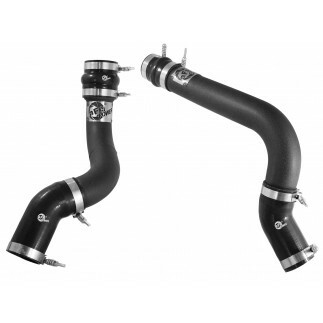 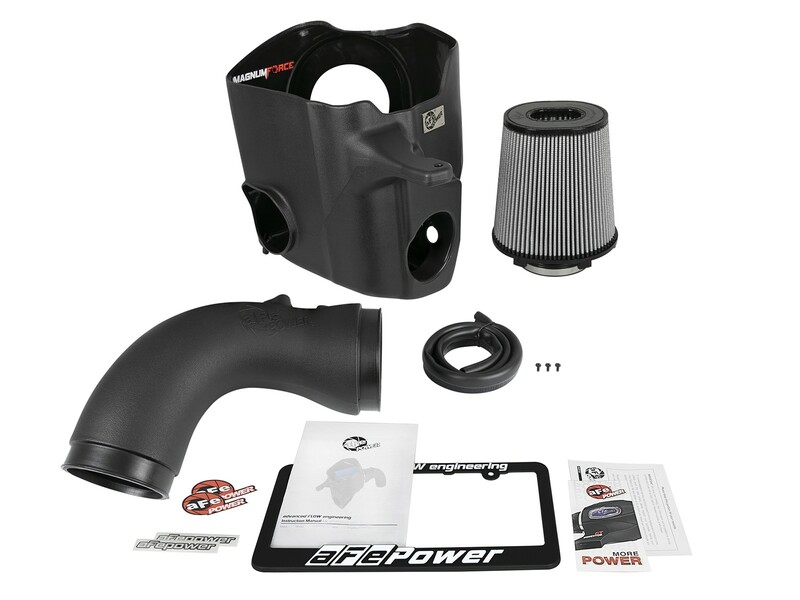 A heat-resistant roto-molded XPLE polymer intake tube replaces the stock intake tract, increasing direct airflow for maximum performance and durability. 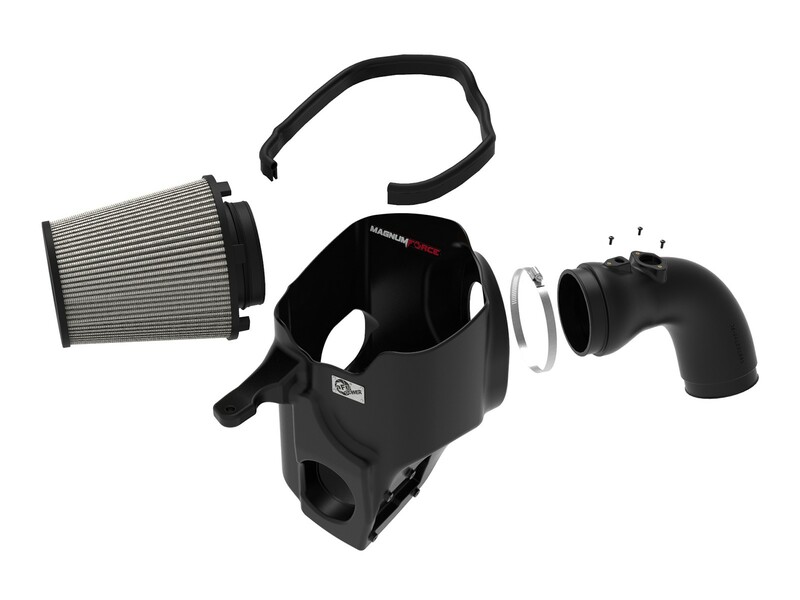 Each intake tube is CAD designed per application for a perfect fit every time. 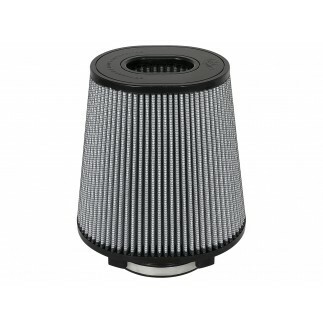 The included air filter is surrounded by a one-piece, heat-resistant XLPE polymer housing that creates a seal when the vehicle's hood is closed, yet allows for easy viewing of the massive air filter when open. 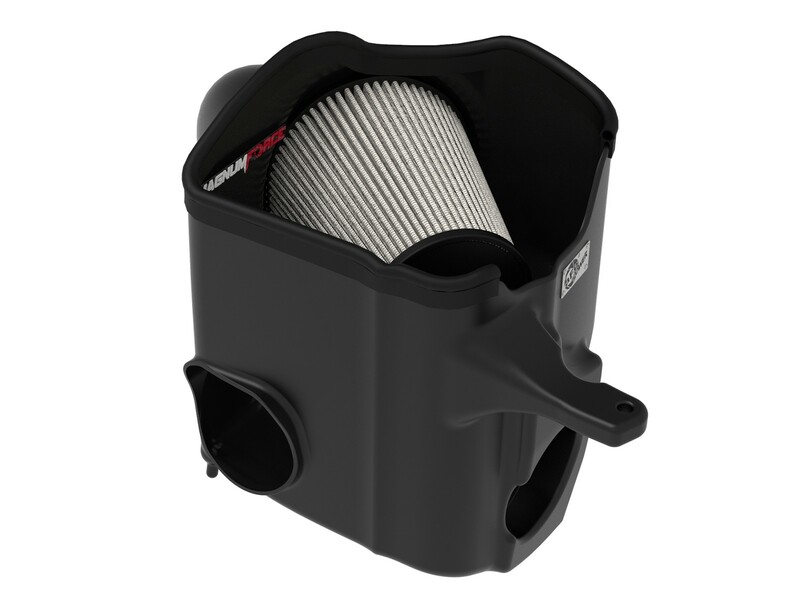 Its innovative design features our patent-pending filter-to-housing interface and an extra opening that captures additional cool air from the front of the vehicle. 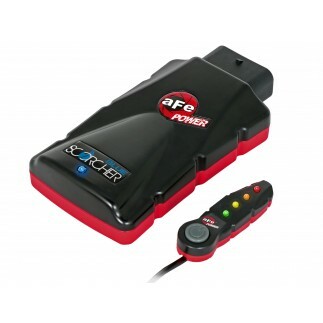 It incorporates the factory RAM Active Air System with no additional hardware. 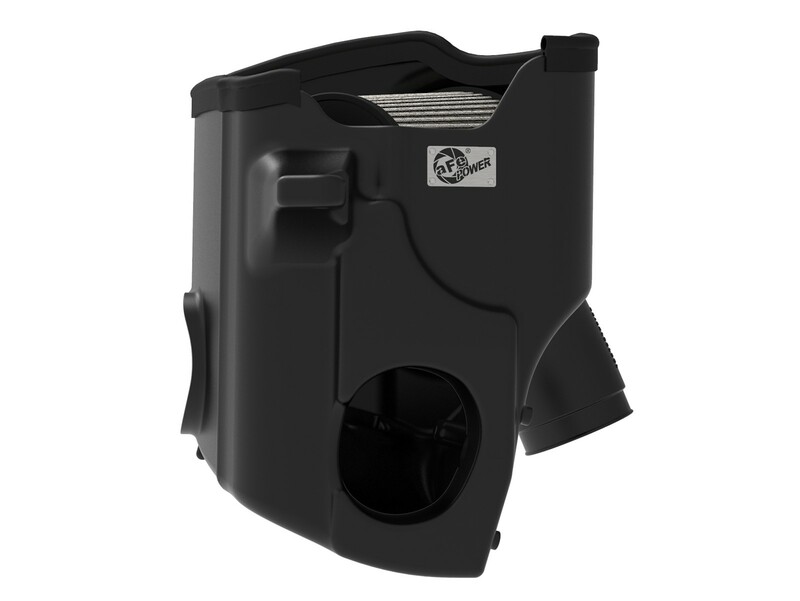 The CAD designed system utilizes factory mounting locations, minimizing the use of unnecessary hardware and ensuring a perfect fit every time. 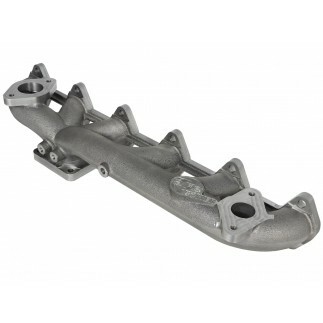 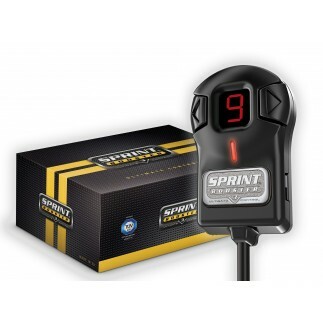 Its innovative design makes for a hassle-free, direct bolt-on installation process that requires no cutting or drilling on OEM parts.